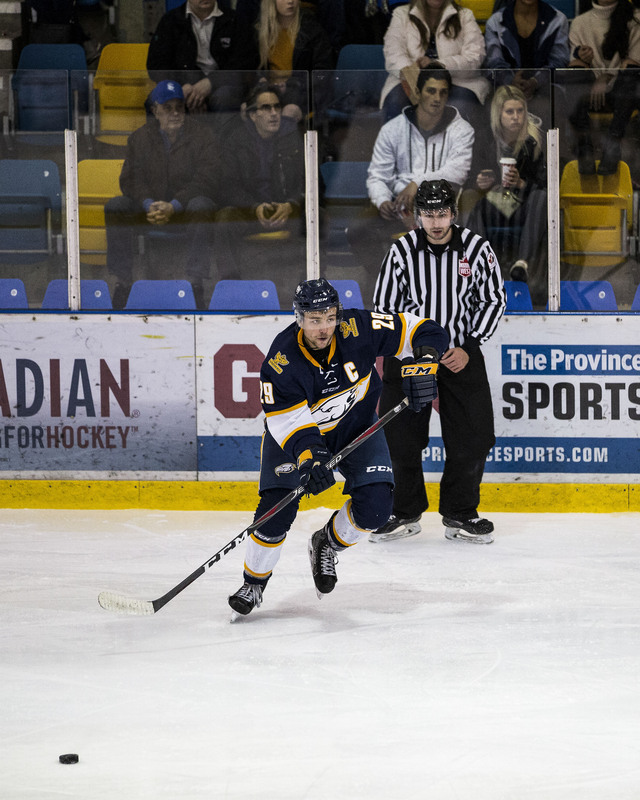 In what was the last series before Christmas for UBC men’s hockey, the team had to log some overtime in order to put themselves in good spirits heading into the holidays. 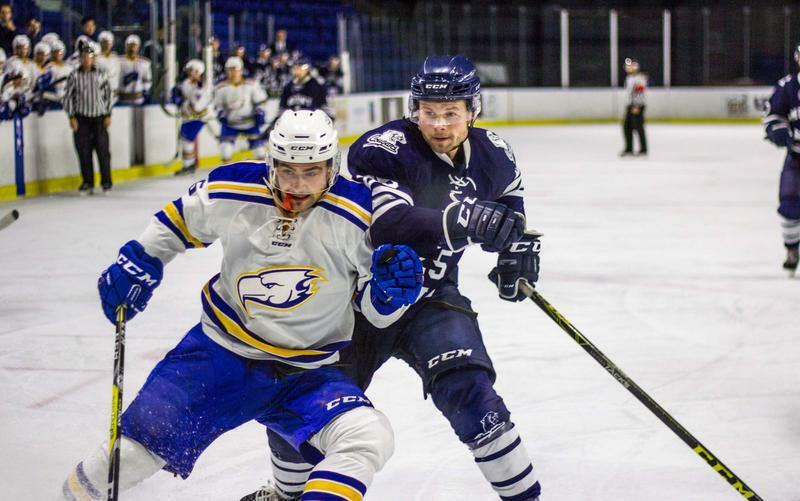 Although they never led in regulation, the T-Birds managed to come back and beat the University of Lethbridge Pronghorns this past Saturday to split their last pair of games before the winter break. In Friday’s match up, the Pronghorns frustrated the Thunderbirds with their physicality and solid defense. Despite being outplayed in the first period, Lethbridge were able to score late in the second thanks to a goal from forward Ryan Chenowyth that put the Pronghorns ahead 1-0. From that point on, UBC started to lose momentum as they weren’t able to generate any quality scoring chances or get enough pucks to the net. Lethbridge would add two more goals, including an empty-netter, to secure a 3-0 win. Saturday’s rematch looked as though it would be a repeat of the first. Three unanswered goals by the Pronghorns in the second period put UBC in a big hole heading into the third. They were able to dig themselves out of the hole on the back of a big performance from defender and captain Jerret Smith. After Smith scored on the power-play to make it 3-1, he then scored two more within the last three minutes of the game, both with UBC goaltender Rylan Toth on the bench for the extra attacker, to tie the game and send it to overtime. In overtime, Smith added to his hat trick with his fourth goal of the game to complete the three-goal comeback and cap off a stellar game for the former Seattle Thunderbird. After the game, Coach Sven Butchenson talked about the magnitude of his captain’s performance in an interview with UBC Athletics. Smith has now scored five goals against Lethbridge this season, as he scored another goal in the season opener in late September. He has scored in two of the past three games as well and now has six goals this season. Although the T-Birds win streak was snapped on Friday, the comeback was significant for playoff positioning heading into the holidays. As of now, UBC remains in fourth place in the Canada West, one point behind the Calgary Dinos and two points ahead of the Mount Royal Cougars. The team will now be off for the rest of December. They will return to the ice January 4 in a pivotal away series against the Cougars, where they will try to extend their win streak as the push for the playoffs gets underway — just in time for some Winter Classic action on January 18 against the Calgary.